This Workbook is for farmers and landowners who have a long-term vision for a piece of land and are willing to collaborate and commit to a lasting arrangement to make such a vision a reality. 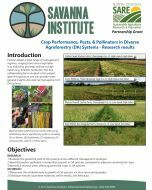 It offers an overview of legal considerations for long-term leases that address key particularities of agroforestry. 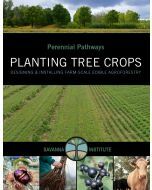 While much of this Workbook is framed in the context of agroforestry, many of the issues raised are relevant for farmers and landowners who aspire to enter a long-term lease for annual crop or livestock farming.